We recently had the pleasure of working with Top Table Group, one of Vancouver's finest restaurateurs with a mouth-watering portfolio that includes Araxi, Blue Water Cafe, Cin Cin, and Thierry to name a few. 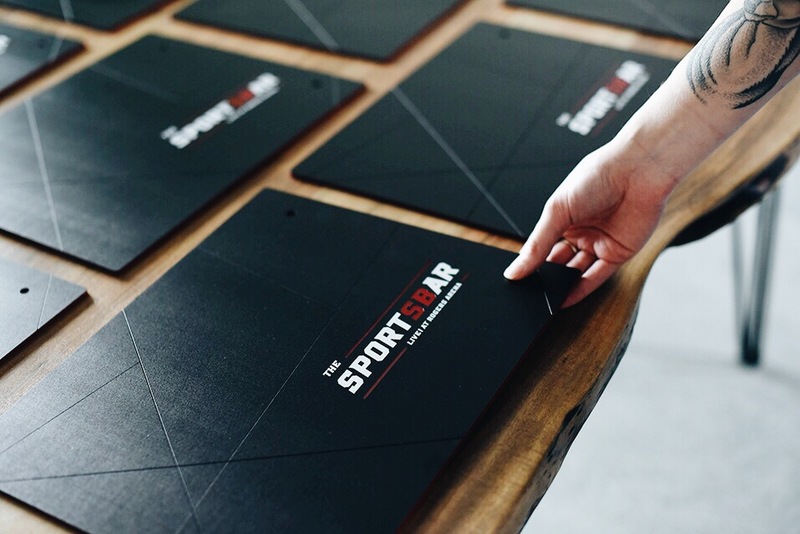 With an exciting new project on the horizon, Top Table came to Klo Portfolios to create custom menu covers and receipt backers for their new high-end venture called The Sportsbar Live! at Rogers Arena. The ambitious 600+ seat sports bar is the first of its kind, giving visitors a chance to view the hockey game as it unfolds live! Their menu boasts sports bar favorites reworked with high quality and local ingredients for an unforgettable experience. 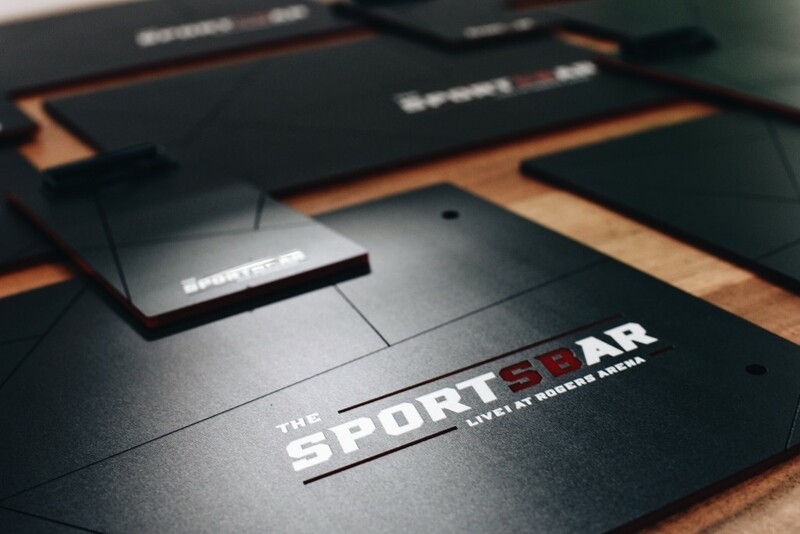 It was important for Top Table to incorporate the color scheme of The Sports Bar while carrying over the high-energy feel of the venue. 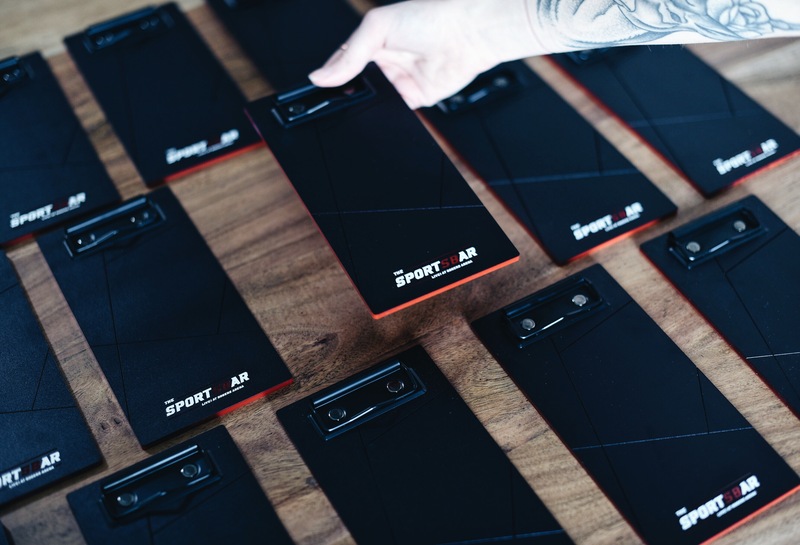 Their graphic design team came up with the concept of a two tone menu cover that would include high gloss red acrylic on one side, and a matte black on the other. We achieved this look by using a gloss red acrylic that was UV Printed & Cured on one side with black ink. 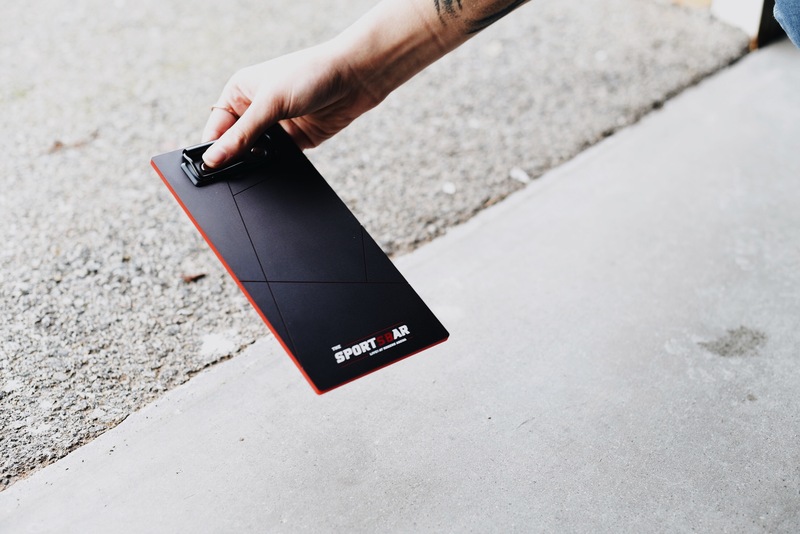 To give the restaurant menus and receipt backers a more tactile feel, we engraved a pattern of lines over the UV Printed black area and left a peek-a-boo effect over certain parts of the logo which revealed the original red acrylic underneath the UV Print. 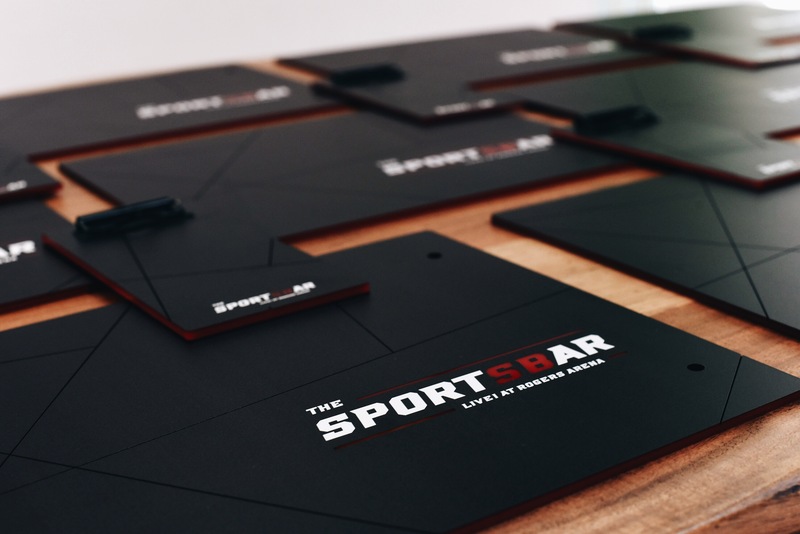 The result: Beautifully tactile and multi-treated custom menu covers and receipt backers that highlight the action packed atmosphere of The Sportsbar with a classy twist. 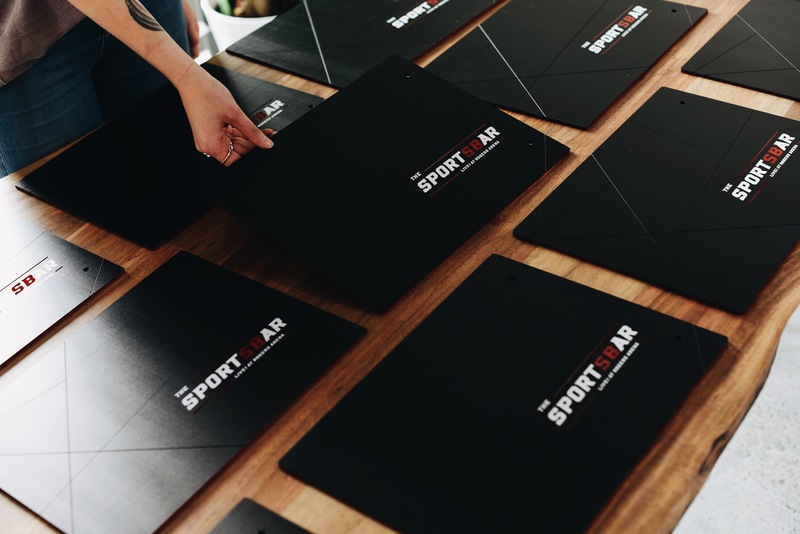 Whether it's a custom portfolio book that's meticulously crafted to hold your body of work, or custom restaurant menu covers to please an army of your patrons, we've got your covered. Have a project in mind? Give us a shout and tell us what you have in mind.